The Time Bum loves Christopher Ward watches. I have not yet reviewed any in these pages, but I own three myself and they are high quality, sensibly priced pieces. Last year, the company made waves by launching their first in-house movement, the Calibre SH21 in the C9 5 Day Automatic. Precious few watchmakers have the ability to manufacture their own movements, so this move was huge. So was the watch, which measured 43mm across. 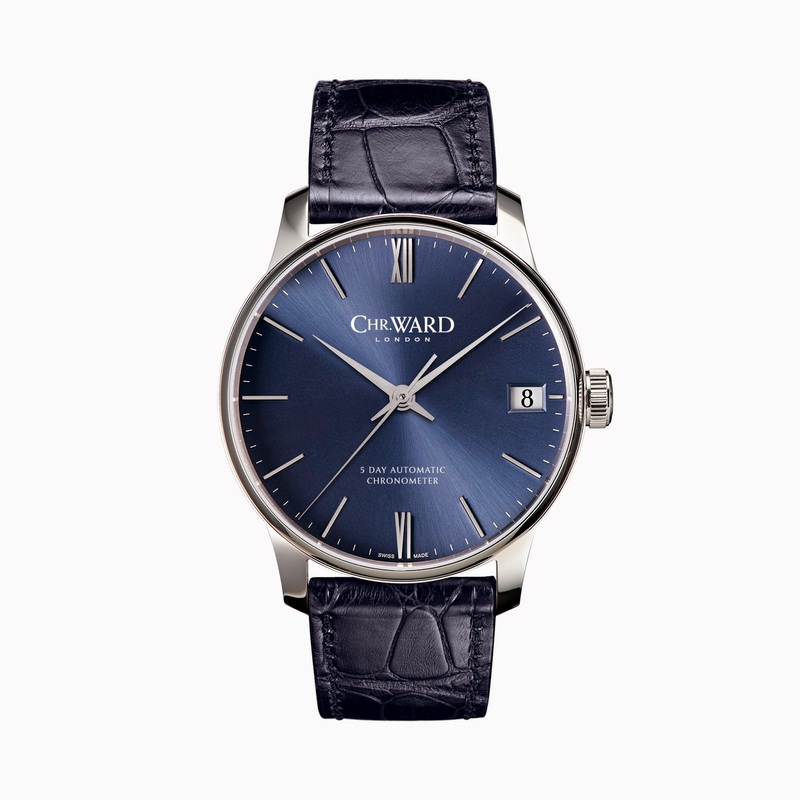 Seeing a growing demand for smaller watches, Christopher Ward has now released that watch in a 40mm case. Created by Johannes Jahnke and manufactured in Switzerland, the 31 jewel SH21 is COSC-certified and can run for 120 hours. Unlike some extended reserve movements, the SH21 was engineered for rugged use and requires little servicing. The same unit can also be bound in CW's top-of-the-line Trident Pro divers. It runs at 28.8k bph and has hacking and hand winding capabilities. 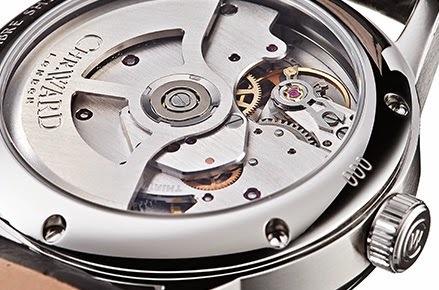 The movement is beautifully finished, but they have chosen to eschew the ubiquitous blued screws and Geneva stripes in favor of flat polishing and hand-grinding, techniques favored by traditional English watchmakers. Of course, you can view it through a sapphire display window. The C9 is a simple and elegant design, with applied markers and long hands on a sunray dial. Buyers may choose white, blue or charcoal dials, on an alligator grain Italian leather strap with deployant clasp. It was perfectly lovely in the larger incarnation, but to my eye, the smaller proportions of the new model better suit its dressier style. The new C9 5 Day Automatic (40mm) is priced at £1375 or $1,895 USD. This is higher than the usual Time Bum fare, but an excellent price for a COSC certified manufacture movement. 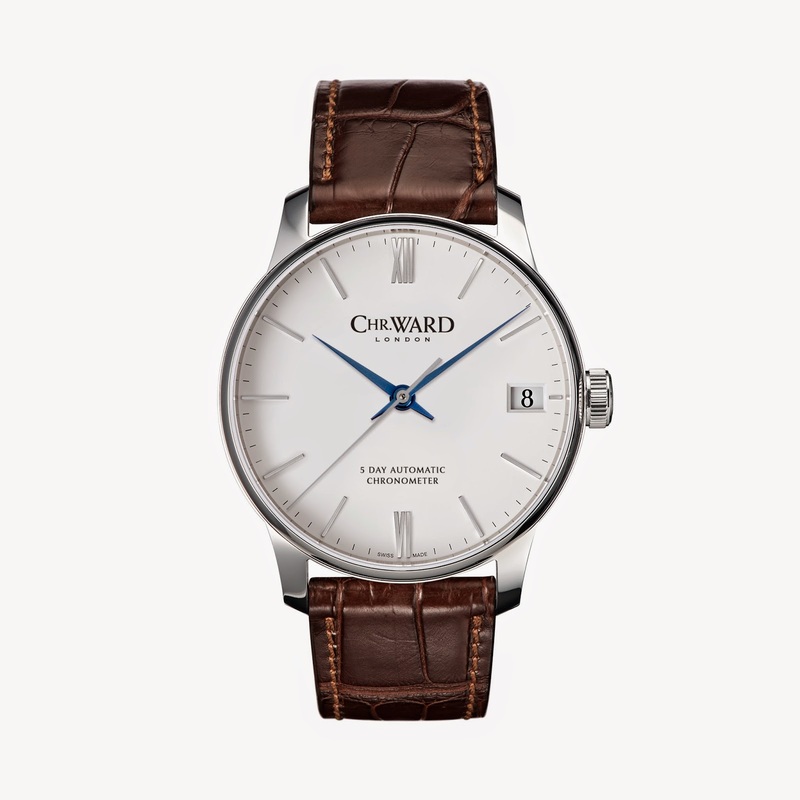 The watch is available for pre-order at www.christopherward.co.usa with a planned delivery at the end of March.